Since April 2000 the website has been New Zealand's most popular online resource for the lifestyle farmer. Lifestyleblock.co.nz was sketched out on a large piece of paper at the end of 1999. 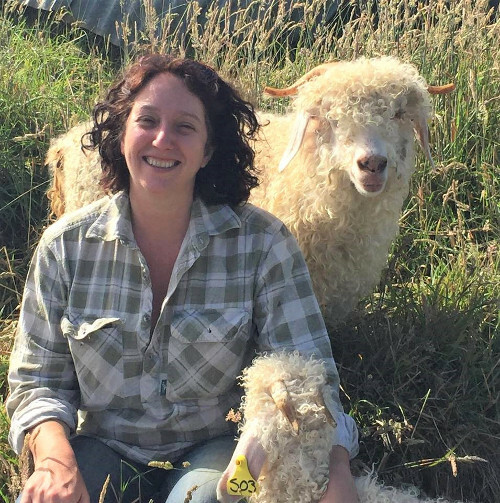 Kate Brennan and Kay Swann had realised there was a need for information for lifestyle farmers and decided to do something about it! Kay had in the past worked at the Waikato Polytechnic and had been impressed by a fellow-lecturer, Dr Clive Dalton. Clive was about to retire and was keen to get involved in the project. As the millennium dawned these three people put their heads together and a website was born. On 14th April 2000 lifestyleblock.co.nz was launched on a largely disinterested world. With a budget measured in hundreds rather than thousands of dollars Kay, Kate and Clive used email, press releases and good old-fashioned chutzpah to get the site noticed. They were helped by the lack of online resources for the rural sector at that time. The visitor numbers started to grow and press attention followed. By mid-July the site was Xtra’s ‘Community site of the week’. Features in newspapers throughout NZ (including a front page photo of Kate’s stamp-eating goat) kept things moving. Then, while pressing the flesh at Hortenz in August 2000 Kay and Kate were interviewed by a roving TV crew and appeared on One Network News! Fame at last! From the start, feedback was overwhelmingly positive. Lifestyle farmers wanted this information; they wanted to share experiences and to ask for advice. In November 2004 Kate bought lifestyleblock.co.nz outright from Kay. The success of the site is not due to large budgets or numerous staff. It’s due to the imagination, hard work and determination of Kate, Kay and Clive and the contributors they brought on board. It’s also due to the advertisers who keep the bills paid. The team have nurtured the site, watched it grow and are very proud of it - which is what lifestyle farming is all about. Kate Brennan set up lifestyleblock.co.nz with friend Kay Swann after realising there was a need for information for lifestyle farmers. Kate was a first-time lifestyle farmer with five acres. Five acres wasn't enough though and she and her husband bought another 10 acres a couple of hundred metres down the road. At the end of 2009, they moved onto a 220 acre bare block in Northland where they built an off-grid house and farm cattle and angora goats. Address: lifestyleblock.co.nz, PO Box 67, Hikurangi, New Zealand. Dr Clive Dalton - Clive did a Ph.D. in sheep breeding at the University of North Wales at Bangor. After lecturing for eight years in Leeds University, he came to New Zealand to do research with MAF. Because of his communication skills, he moved to the Ruakura Agricultural Research Centre to be fully involved in interpreting science for practical application by farmers. After 14 years he moved to teach at the Waikato Polytechnic where for 7 years he taught mainly dairying to young future farmers. He won the 1993 Landcorp Communicator of the Year award and the 1999 Sir Arthur Ward award for agricultural communication.